Step into the web of politics, betrayal, jealousy and murder in Puccini’s riveting and intense Tosca. In Rome, the fiery and celebrated singer Floria Tosca has no idea that her life, and that of the man she loves, will irrevocably change the very next day. In a whirlwind of events, Tosca is forced to save her rebellious lover from the tainted hands of the treacherous chief of police and must take a stand while looking death in the face. Will she murder for the man she loves? Will she save her lover in time? What will become of her? With passionate arias and soaring, sensuous melodies, Tosca’s power and raw emotion will leave you breathless. 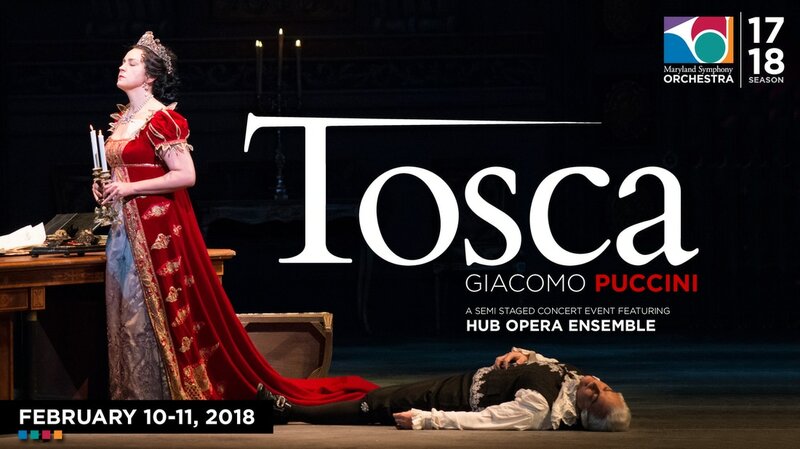 Click on the Spotify icon below to listen to musical selections from Puccini's Tosca on Spotify. A free account is required to listen. Otherwise, a majority of this music is also available on other music sharing sites/services as well as YouTube.